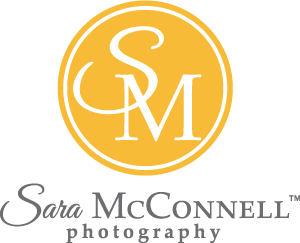 I am a Photographer based out of Ottawa, Ontario who specializes in Baby, Family, Maternity, and Newborn Photography. I was fortunate enough to attend a high school where a photography program was offered in lieu of music or visual arts. My technical skills were developed with a twenty-year-old SLR that had travelled the world with my father before I was born, and I spent endless hours in the darkroom producing my own negatives and prints. On my 25th birthday, I took the leap from traditional film to digital photography. My love affair with photographing people began after my first son was born. I am now a mother to three boys, who are 12, 10, and 6 and still enjoy nothing more than traipsing around after them with my camera photographing the story of our life. My background is in psychology and counselling, and for several years I specialized in the fields of anxiety, grief, and trauma. This experience has brought a unique perspective to my work as a photographer. "Watching the aftermath of traumatic grief gave me a profound appreciation of the moments we share with our families. Moments that are fleeting and may never exist again." I understand that for many people stepping in front of my camera is ranked pretty closely with a trip to the dentist. Because of fear, vulnerability, painful memories, negative experiences with photography, conflicts, should-haves, could-have-beens, and 327 other reasons. As a former grief therapist who worked with survivors of unimaginable loss I ask all of my clients to press pause on their reservations about photography and recognize the gift of time. Photographs are the keepsakes we create for our children and families: they are moments in time that will never exist again. Although I am no longer a practicing counsellor, my interest and passion in connecting with others continues through my photography. I don't see a crying toddler or scowling subject and think 'ugh, really', I think 'what do I need to do to connect with this person and have them walk away from our time together with a smile on their face'. I love talking to my clients and hearing their stories. I love the goosebumps I get when I'm shooting and when I get to see the photos all over again on my computer screen. I love getting to watching babies and children grow up in front of my camera. When I'm not behind my camera or holed up in my office editing I love being with my family. I spend a lot of time tiptoeing around Lego, trying to hear myself think above the noisy Nerf and Star Wars battles, and scraping paint and play dough off our kitchen table. We are happiest outdoors (so much dirt), love camping (even more dirt), and we are a family of swimmers (please excuse the smell of chlorine). When I'm not wrangling my family through school, work, and play, I am happiest by the water with a mug of tea in one hand and a book in the other. One of the greatest joys I experience on a daily basis is getting to know the families that I photograph. I look forward to telling your family's story with my photographs. 2015 National Association of Professional Child Photographers (NAPCP) Image Competition Winner — Recognition of Merit in the Siblings category. 2016 National Association of Professional Child Photographers (NAPCP) Image Competition Winner — Recognition of Merit in the maternity category. Each session is unique and styled to you and your family: Before your session, you will fill out a detailed questionnaire to ensure that we make the most of our time together. Professionalism: My clients describe me as passionate, enthusiastic, creative, patient, considerate, respectful, and dedicated. I am also a member of the National Association of Professional Child Photographers and the Professional Photographers of Canada. Stress-free, hassle-free experience: I am organized and efficient and take care of all the details so that you don't have to. Bookings, deposits, and contracts are completed online, which means you can schedule your session from the comfort of your home or office. I provide you with detailed instructions on where to meet, what to wear, how to prepare your children, and what to expect during our session. Expertise working with babies, children and newborns, including those with exceptional circumstances: I am a mother of three boys and have degrees in psychology and counselling. I have worked with children, including those with special needs, in a variety of settings (recreational, educational) for over ten years. Experience: During my career as a photographer I have photographed over 2000 sessions and worked with over 1500 families. I take professional development workshops and classes several times a year in order to improve my photography and editing skills. Sessions are fun and relaxed: I want you and your family to walk away from our session with a smile on your face. I bring toys and instruments to get the attention of younger children and won't hesitate to break into song to elicit a grin from a reluctant older child. I love working with children and families and strive to make my sessions fun for everyone. The best of both worlds: I offer families a balance of traditional portraiture and candid ‘in the moment’ photographs. Digital files are included in every session package: I provide you with a gallery of images from our session and you choose the final images you would like included with your package. I provide colour and black & white edited, retouched, and artistically enhanced files in high-resolution format that you can print for personal purposes (enlargements, canvases, greeting cards, calendars etc). I also provide the accompanying low-resolution files so you can share your photos online with family and friends. Fast turnaround time: Client galleries are prepared within 3 to 5 business days and final images are edited and retouched in 5 to 7 business days. Convenience and choice: I offer a range of sessions throughout the year to meet the needs of busy families. My sessions range from 10 minute Moment sessions that provide families with the opportunity for updated photos throughout the year (Easter, Spring, Mother's Day, Father's Day, Fall, Back-to-School, and Christmas) to 30 minute Extraordinary Sessions to meet the needs of families looking for a specially selected location, outfit changes, and unique family memories. Sessions are available on location or in studio: My services are available outdoors or in my spacious, fully-equipped professional photography studio. National Accreditation: Nationally Accredited in the specialities of Child and Infant, Maternity, and Newborn Photography by the Professional Photographers of Canada (PPOC). Award-winning creativity: In 2015 I was a National Association of Professional Child Photographers (NAPCP) Image Competition Winner. I competed against thousands of image entries and won a Recognition of Merit in the Siblings category, with my image entitled “Feathered Friends.” In 2016 I was a National Association of Professional Child Photographers (NAPCP) Image Competition Winner. I competed against thousands of image entries and won a Recognition of Merit in the maternity category, with my image entitled "Twice the Blessing"
Sara McConnell Photography has appeared in newspapers, blogs, local Ottawa TV and throughout Ottawa. Sara McConnell has appeared on CTV Morning Live - Ottawa as a guest many times. My breastfeeding photographs are part of the Ottawa Childbirth Education Association's curriculum. My photos are on display in the CHEO Cardiology Department waiting room as part of the Red Balloon Project. Photos featured on the cover of Capital Parent numerous times. My baby, family, maternity & newborn photographs are on display at the clinics in the Glebe and Barrhaven. My breastfeeding photographs are on display in the Westboro store.